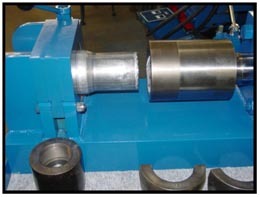 Model 3400 Series Tube End Forming Swedgers and Expanders : American Machine and Hydraulics, Inc.
AMH has developed a group of tube end forming machines that are economically priced and quite versatile. 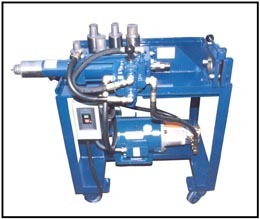 These machines are all electrical driven and hydraulic powered. 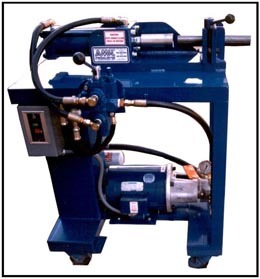 They are self-contained with motor, pump, valves and reservoir. They will operate on 230-440 volts. 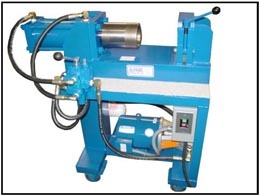 They can be fitted with semi-automatic form cycles using our AMH 24 volt controller. This allows for push button automatic cycle or manual foot control. 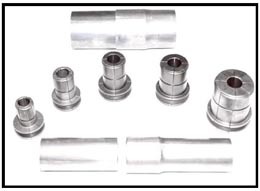 A choice of push type or pull type segment tooling can be adapted to these units. 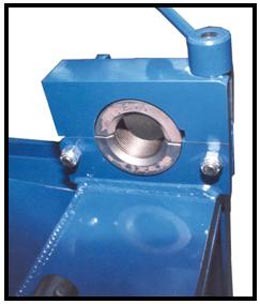 On the swaging capabilities, our patented “Gripper-Clamp” assembly is added. Because this system uses mechanical gripping collars, marks on the tube are inevitable. 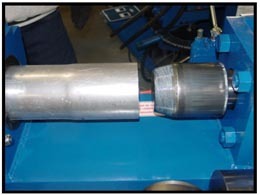 The severity of the marks depends on the process and wall thickness of the tube. 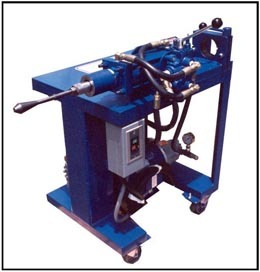 In other words, the more pressure applied during forming, the deeper the clamp will mark. 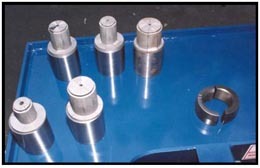 We even provide a unit where the customer could install his own end forming system. All of these units are portable and mounted on 4 steel casters. 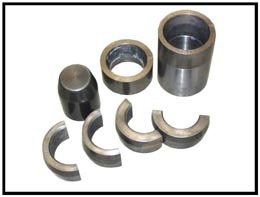 Tooling is used to expand, reduce, flare, flange, bead depending on customer’s requirements. AMH will quote accordingly.